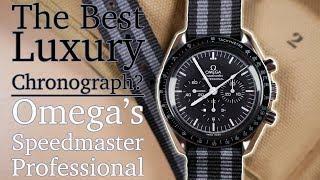 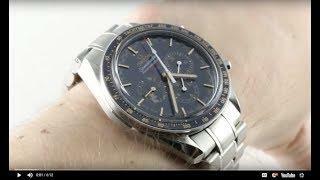 The Omega Speedmaster Moonwatch Co-Axial Chronograph features a 44.25mm titanium case surrounding a blue dial on a leather strap with folding buckle. 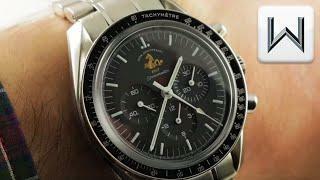 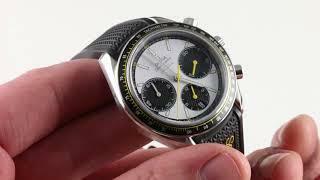 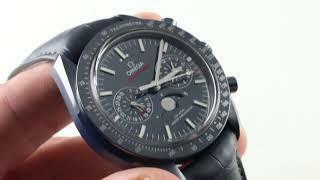 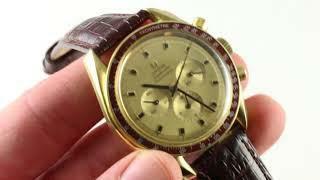 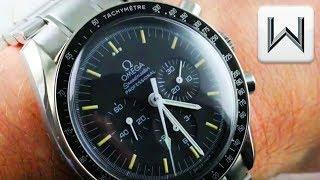 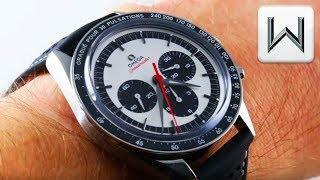 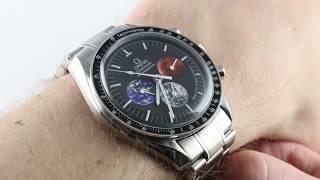 Functions include hours, minutes, small-seconds, date, chronograph and tachymeter. 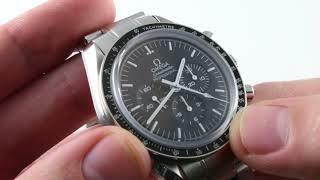 The watch also measures 16.6mm in thickness and 49.8mm from lug-to-lug.